Jones Creek Outfitters your Iowa whitetail deer hunting guide provide guided Whitetail Deer Hunts in Iowa. Our whitetail deer hunting guide will guide you on private ground with a good opportunity to harvest a real “Iowa Trophy Whitetail Deer.” If you have been keeping up on Iowa Whitetail deer for very long, you have heard about the incredible whitetail deer trophy hunting opportunity that awaits you. The world record non-typical whitetail deer was harvested in Iowa in 2003 as well as the new state record deer hunting archery kill. Jones Creek Outfitters has many private farms to choose from for your deer hunting experience. You will be deer hunting free roaming trophy whitetail's in open country with good tracks of timber for cover. 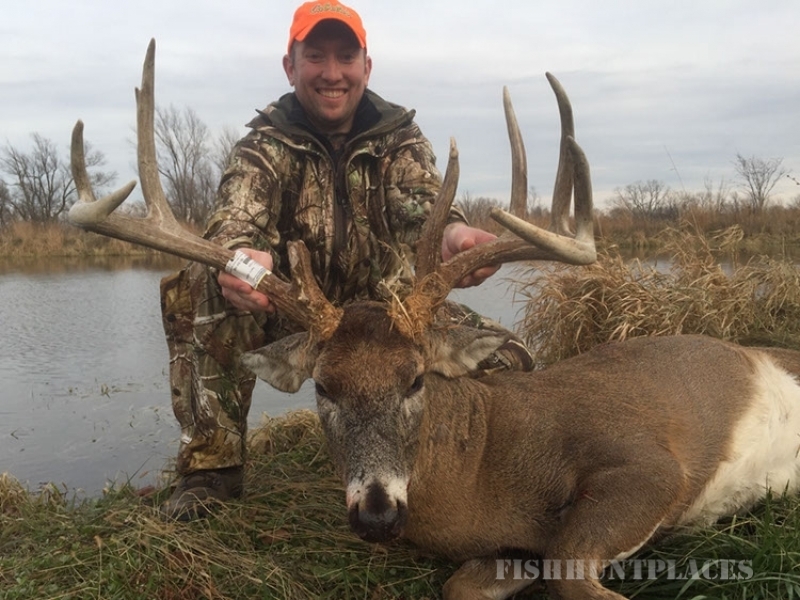 Most counties in Iowa have large whitetail deer and our deer hunting guides have targeted the areas where we feel a deer hunter has the best chance to harvest a trophy whitetail deer. In Iowa our whitetail deer grow large quickly due to incredible genetics and excellent food sources. You’re not guaranteed a trophy whitetail deer but have the opportunity and may harvest the biggest whitetail deer you have ever taken. If you’re an avid whitetail deer hunter looking to harvest an Iowa Trophy Whitetail Deer this is your opportunity. Your deer hunting guide will work hard to make your Iowa deer hunt enjoyable. 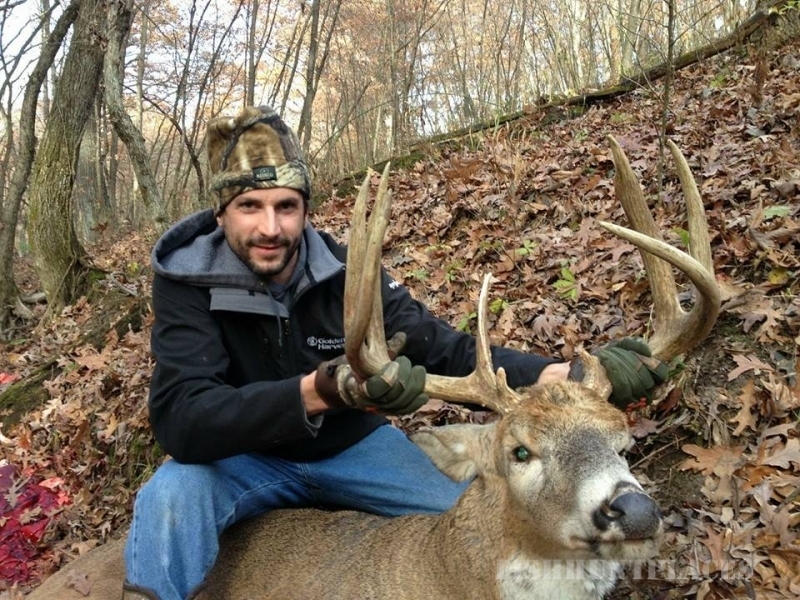 Jones Creek Outfitters offers archery, muzzle loader and shotgun deer hunting.